It was created to celebrate the brand's 100th birthday. As of 2019, Bentley has been around for an entire century. 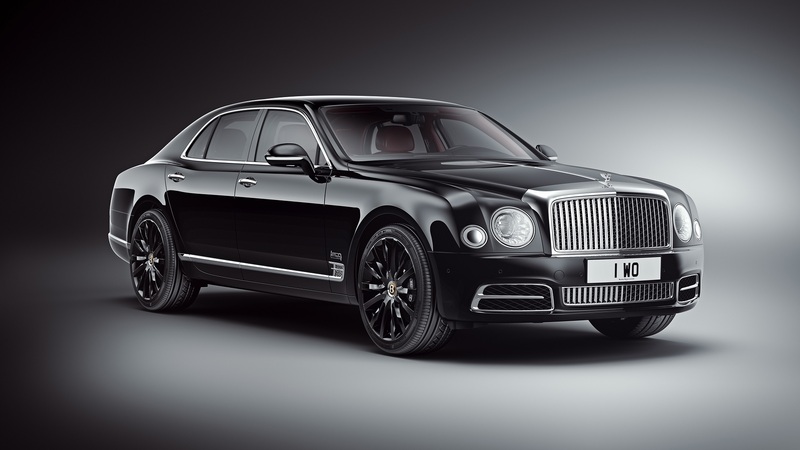 To mark the occasion, the luxury automaker is introducing a special edition of the Mulsanne dubbed the W.O. Edition by Mulliner, named after the company's original founder, W.O. Bentley. Limited to just 100 units, one for every year Bentley's been in business, the W.O. Mulsanne packs trimmings inspired by the 8 Litre from the early 1930s, the last car designed by W.O. himself. It features an Onyx paint job, a vertically-slatted chrome grille, and black wheels. On the inside, the car gets four different types of wood, lambswool rugs, aluminum, er, aluminium brightwork, and W.O. Bentley's signature stitched into the seats. Its pièce de résistance, however, can be found between the rear thrones. 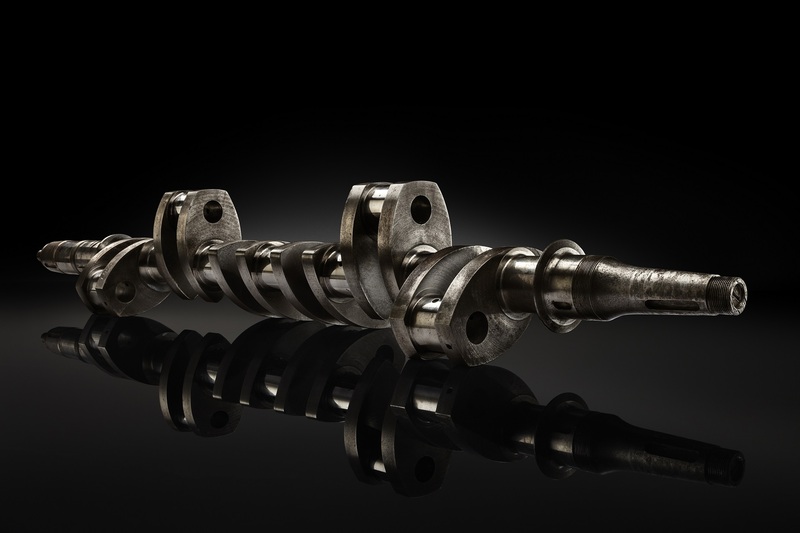 Bentley has taken the crankshaft from W.O. 's personal 8 Litre, sliced it into 100 pieces, then put one in each of these cars as a part of the rear-seat drinks cabinet. This, my friends, is a Bentley's Bentley. Made in 1930, W.O. 's old car featured an 8.0-liter straight-six and was coachbuilt by HJ Mulliner. W.O. was apparently forced to sell the car in 1931 but it was bought back by the company in 2006. 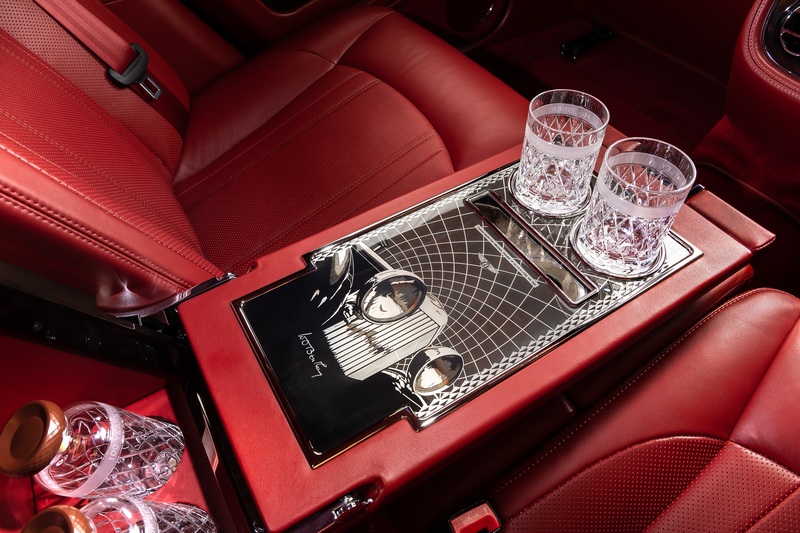 As part of its restoration, the 8 Litre's crankshaft was replaced, freeing up the original part to be sacrificed and put inside the fanciest cupholders ever in the special edition Mulsanne. The Bentley Mulsanne W.O. Edition by Mulliner will come in regular, long-wheelbase, or Speed flavors of the Mulsanne and be on display at Monterey Car Week from Aug. 24 to 26. 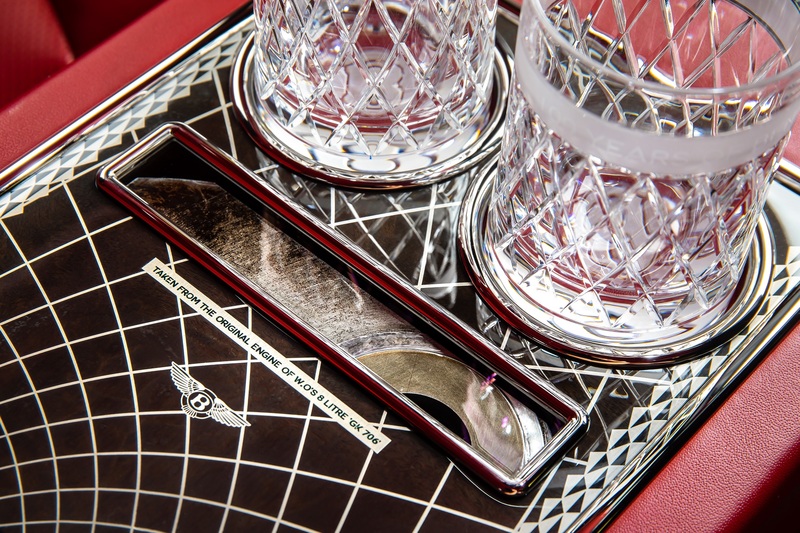 The exclusive Hallmark Series by Mulliner will get inspiration from precious metals.